Over the years there have been some amazing Spider-Man artists (see what I did there...the very first sentence and I already had some nice word play). Some of my favorites include Todd McFarlane, Mark Bagley and Steve McNiven: all three have brought unique styling to the web-slinger's design, and not just the in costume Spider-Man penciling. Who can forget McFarlane's classic Peter Parker imagery. McFarlane turned once high-school nerd into James Dean. Peter had a flip in his hair and a sweet leather jacket to give him that sweet late 80's flair. Like the great Spider-Man artists of the past, the current Amazing Spider-Man artist is leaving his mark through another excellent comic of the day, The Amazing Spider-Man #630. Chris Bachalo brings an energy to his panels that gives Web's a sense of agility-enhanced movement, humor and fantasy. His costumed Spider-Man is so much fun to see do...anything. He could sit there just staring at a street sign and my eyes would water from lack of blinking. 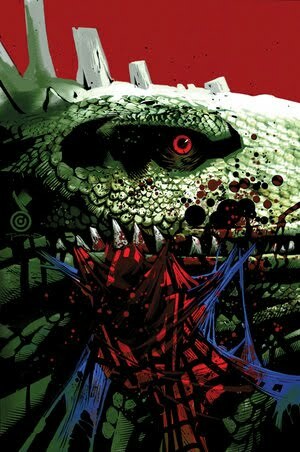 Speaking of eyes, Bachalo's liberties he takes with reality is what makes the excitement of Spider-Man so wonderful. Spidey's mask is made of cloth and has a set design, yet when Bachalo draws the mask he uses the eyes as if they are actual eyes. They widen when surprised and narrow when Spider-Man ponders something confusing. The give the man in the suit emotion and a physical language which is often hard to utilize when dealing with a masked character. The over exaggerated style isn't for everyone, though. Some readers like their radioactive spider bitten comic hero to be more realistic. Do not just act the part of a normal person, but also look it. Admittedly, there is a time and place for a subtle style and a time for an over the top turbulent style. 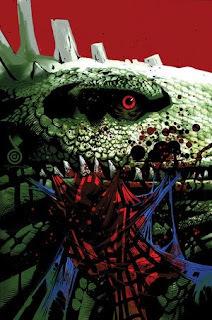 Since The Amazing Spider-Man #630 deals with the Lizard, a very agile, aggressive and wild character, Chris Bachalo's art fits in perfectly with the story. As long as the next issue doesn't involve the Lizard and Spider-Man playing chess for panels on end, look for Bachalo's follow-up (ASM #331) to dazzle like a certain washed-up white wear'n woman mutant.